Looking for a Chrysler dealership around Kansas City? You’re in luck, because Lee's Summit Dodge Chrysler Jeep Ram is nearby. Let us be your go-to for all of your Chrysler needs. Here, we offer 15 new Chrysler vehicles for sale. Whether you’re looking for a capacious Chrysler Pacifica or a luxurious Chrysler 300, there’s a Chrysler out there for just about anyone. Find models with Uconnect® multimedia, rear-seat entertainment systems, and heated leather seats. Or, if you’re looking to sweeten the deal, we offer a full lineup of new vehicle specials. When you’re ready, apply for financing today. Get a Great Deal on a New Chrysler Vehicle by Blue Springs! 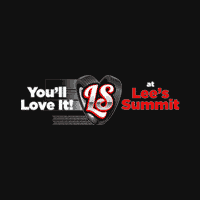 At Lee's Summit Dodge Chrysler Jeep Ram, you’ll not only find an extensive array of new Chrysler vehicles for sale, but you’ll find a superlative customer experience. Our dealership will walk you through the car-buying process, from valuing your trade, to estimating your monthly loan payments with our payment calculator. If you’re ready to upgrade your Blue Springs cruise by choosing a new Chrysler for sale, simply complete this easy-to-use contact us form. This secure form asks you to enter in basic biographical information, so that our Lee's Summit sales specialists can help you find the best Chrysler for you.